Is the sound of your dripping faucet like a soothing water feature in a botanical garden…or like relentless water torture? Perhaps you just put up with the nuisance because it’s too small of a problem for a plumber to fix. If this is you, know you are not alone. Suspect you have a leaky pipe? Look under your sink and vanities for evidence of mould, dark spots, or dampness. If you find a minor leak, apply a temporary fix by using Teflon tape around the pipe, then put a steel hose clamp over that. This may keep things dry until a plumber can replace that section of pipe. Most sink clogs accumulate in the U-shaped section of piping (called the “trap”). Turn off the water supply to your sink, place a bucket below it, then loosen the pipe nuts and remove the trap. After you’ve emptied it and cleaned it with a bottlebrush, carefully reinsert the trap. The next time you run water through, the trap will refill with water and eradicate unpleasant sewer smells. Fix a running toilet for good by replacing the stopper. First, turn off the water supply and flush the toilet to drain the tank completely. Then, remove the old stopper and replace it with a new, compatible model. To get an even better seal, you can clean the seat of the valve with steel wool. Congratulations! You’re now a plumbing ace. 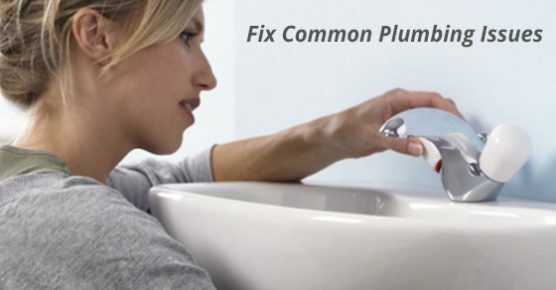 For further plumbing tips, including how to know when you need a professional’s help, contact Advanced Plumbing today.